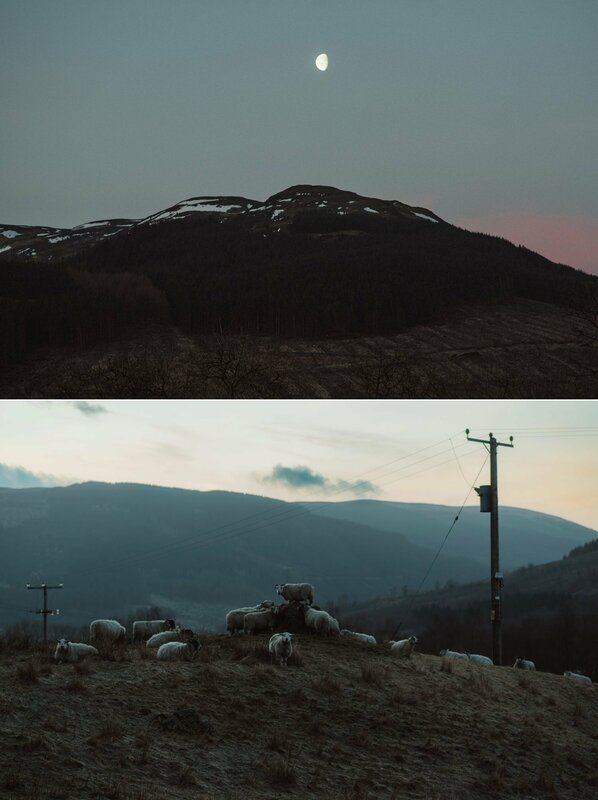 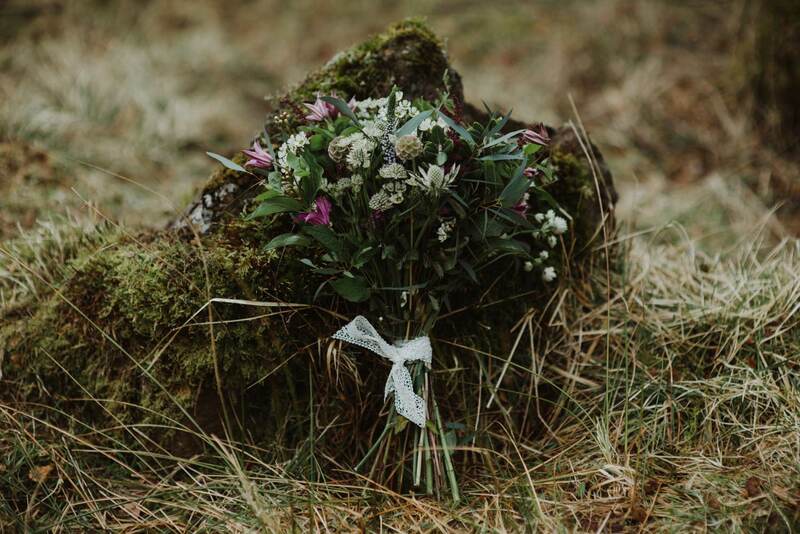 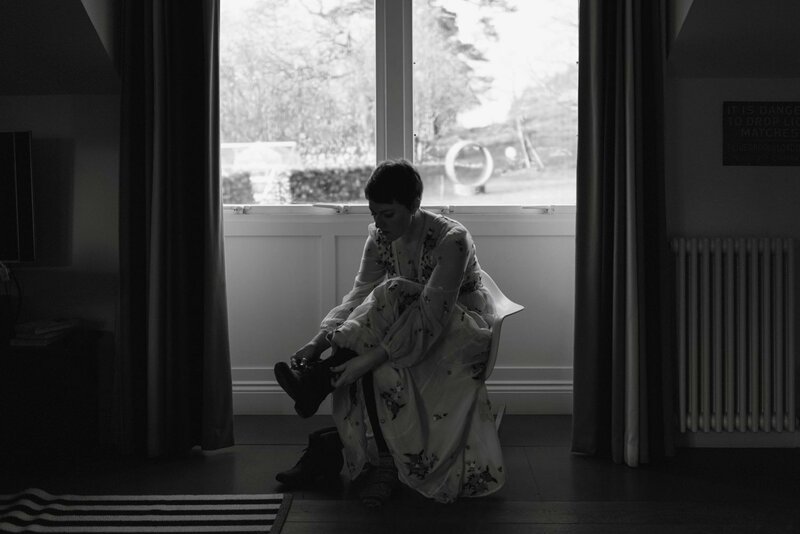 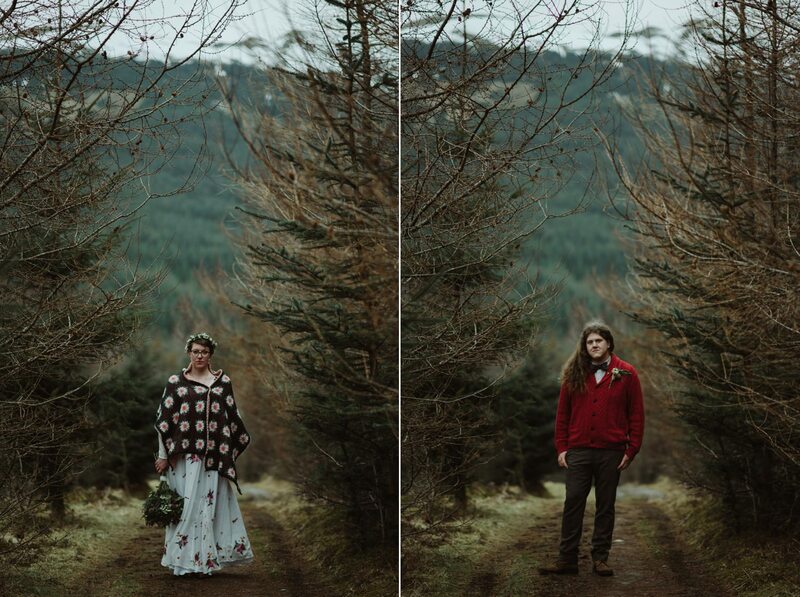 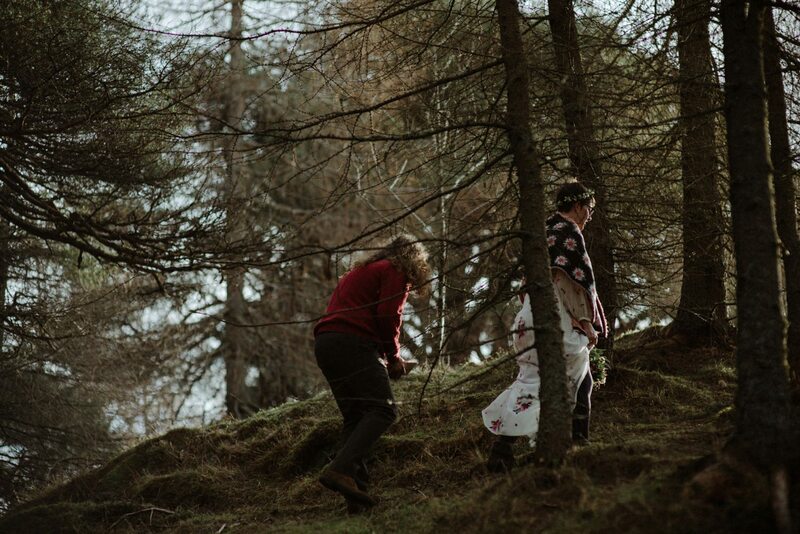 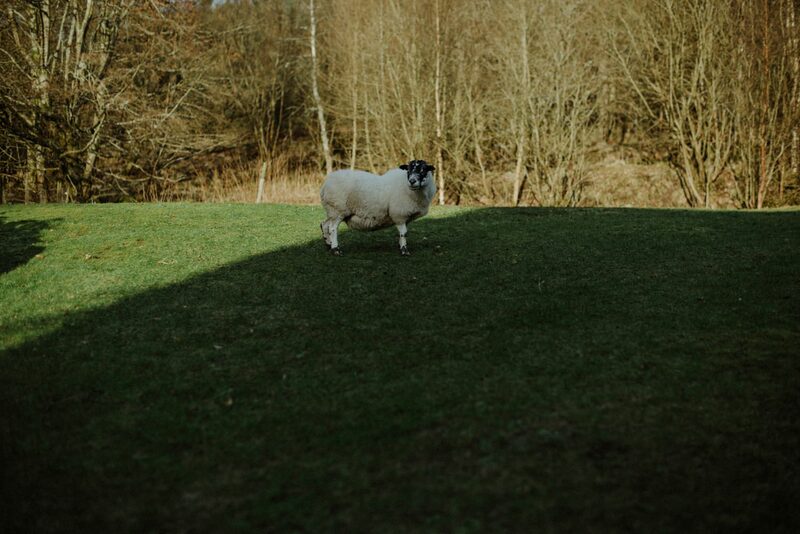 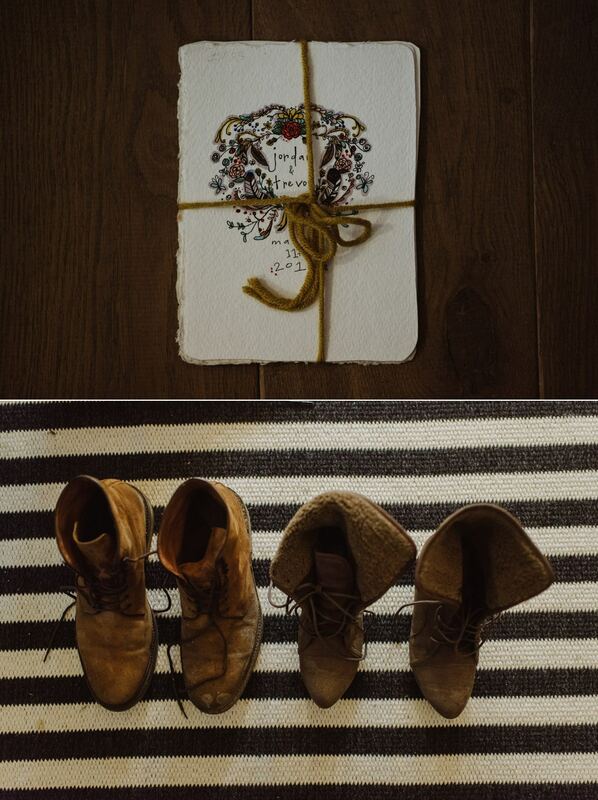 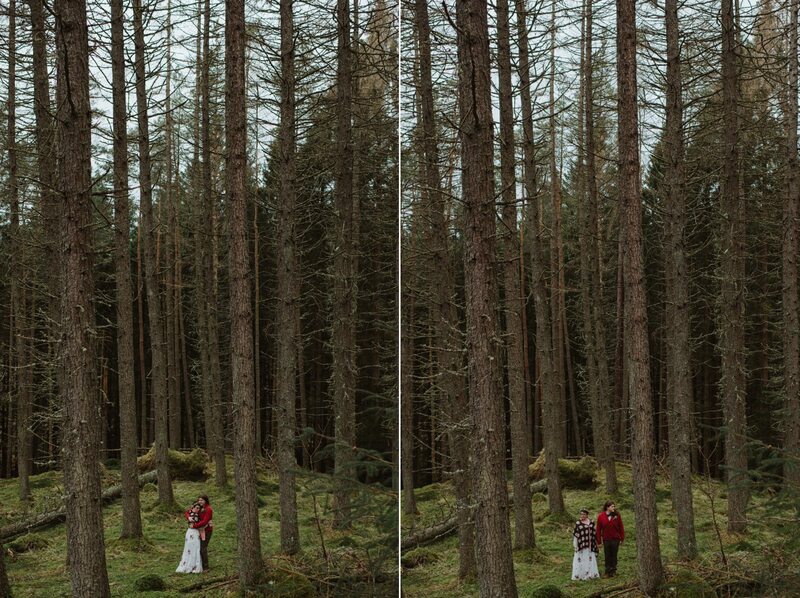 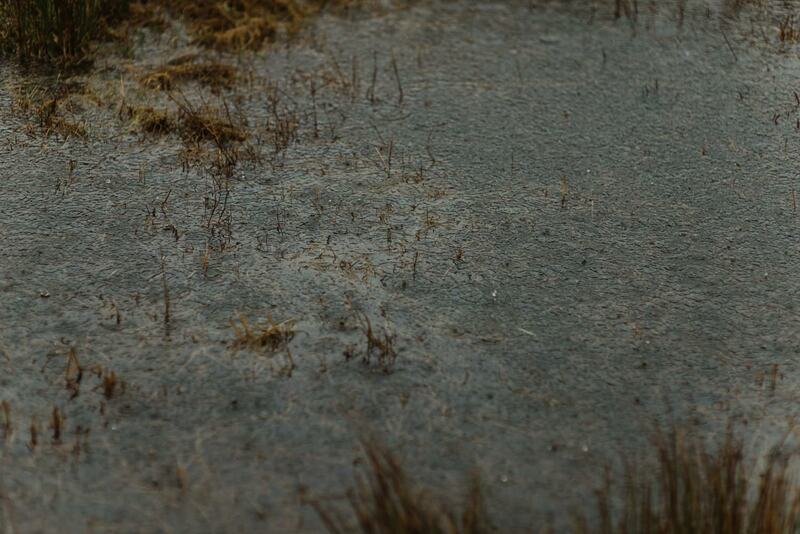 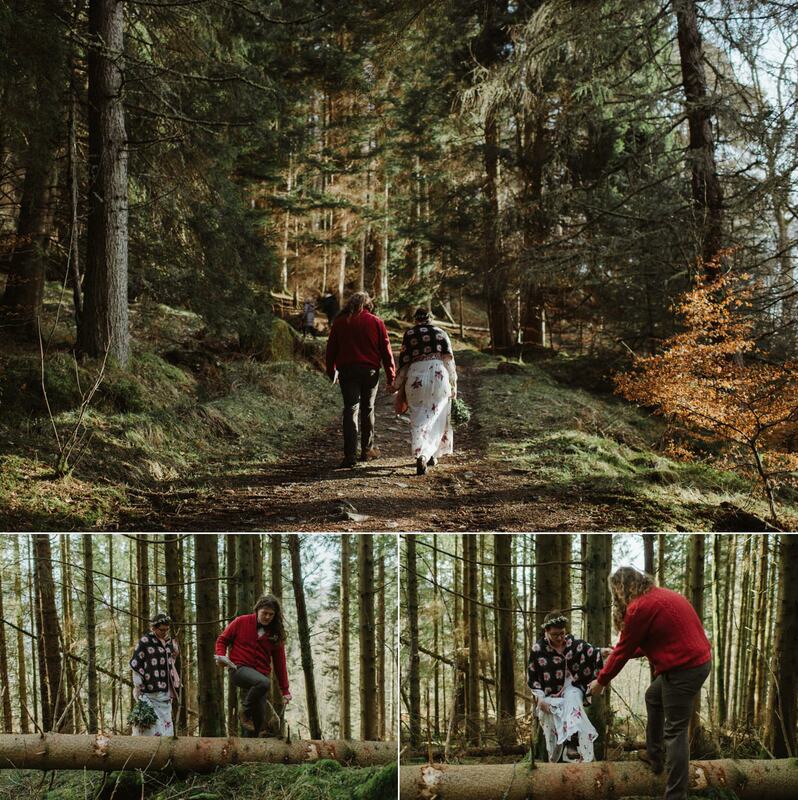 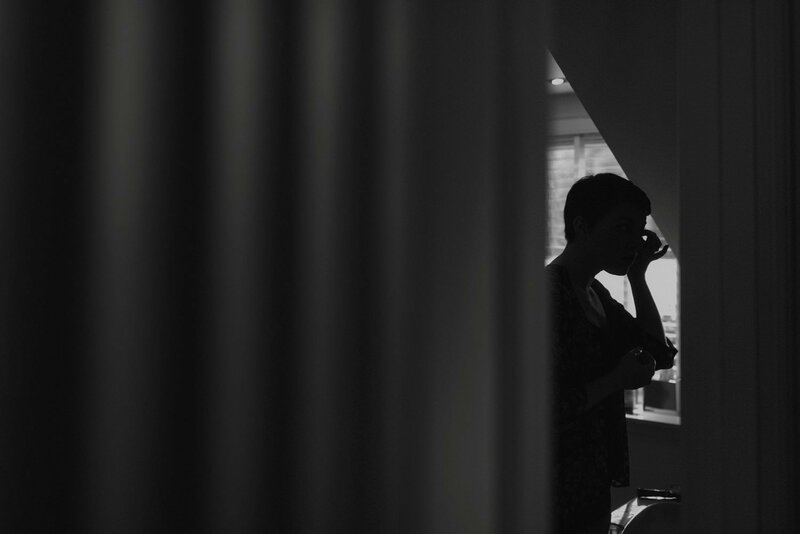 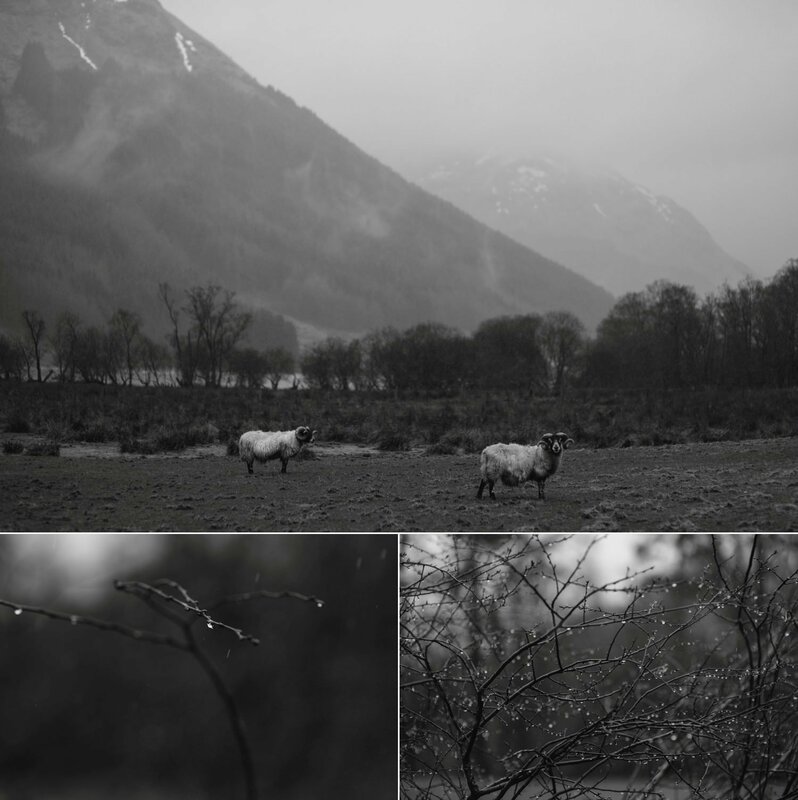 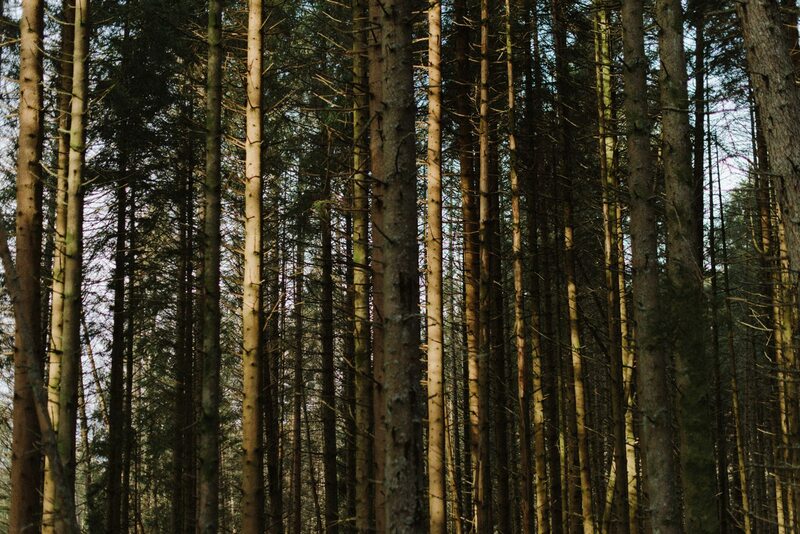 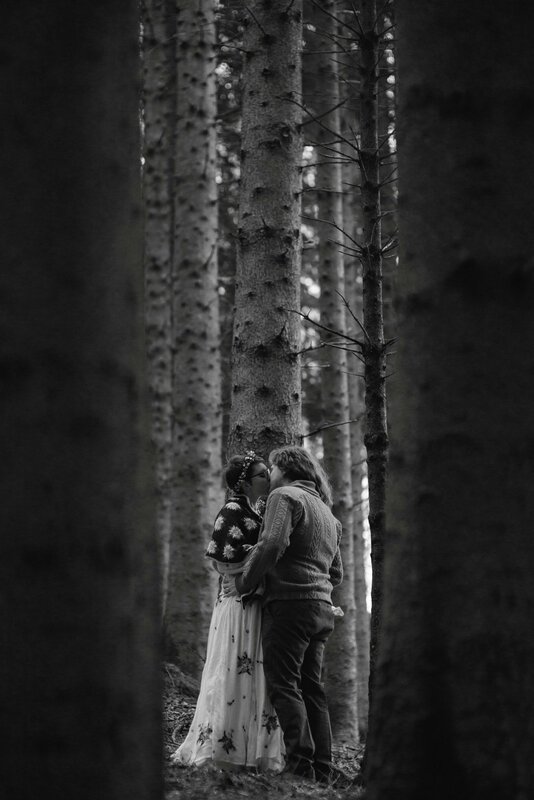 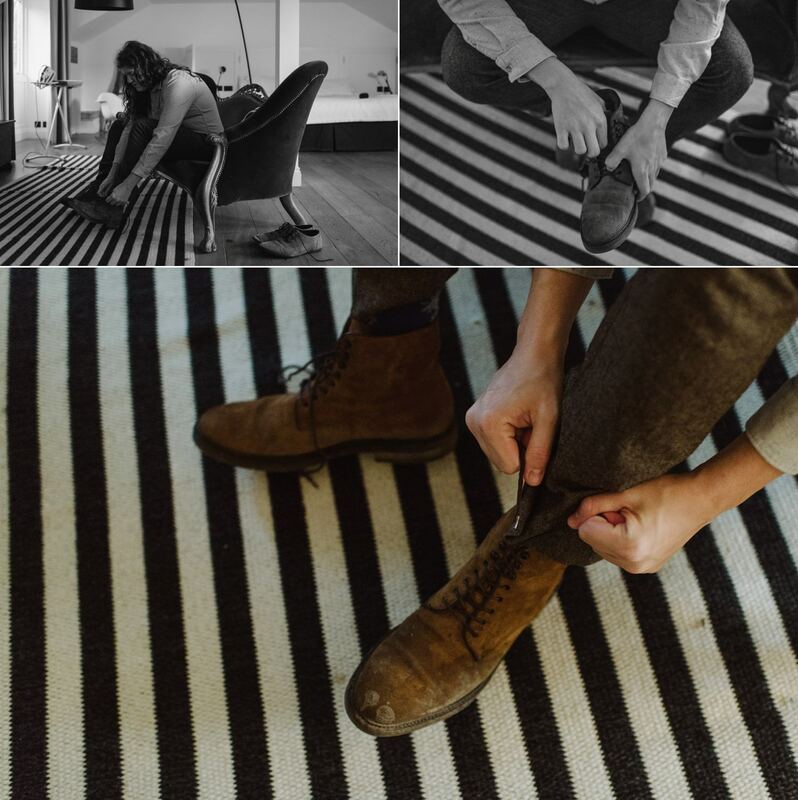 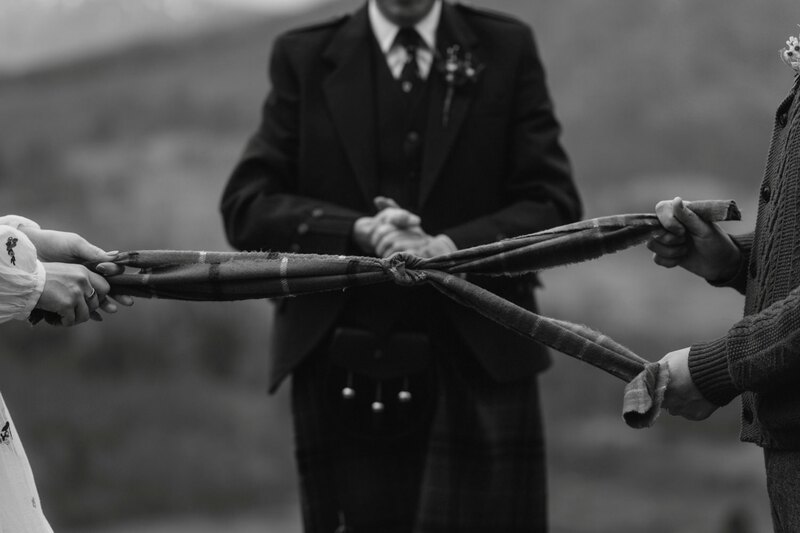 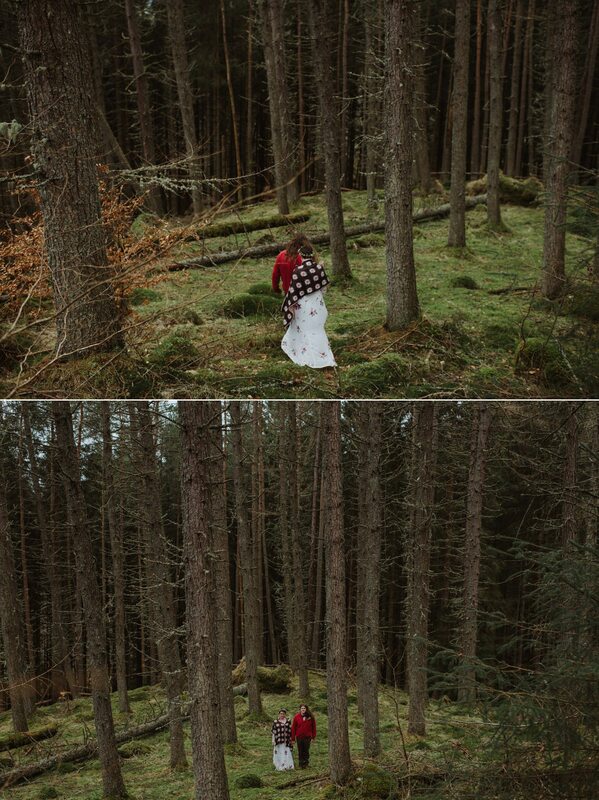 Jordan & Trevor // A Scottish Highlands Wedding. 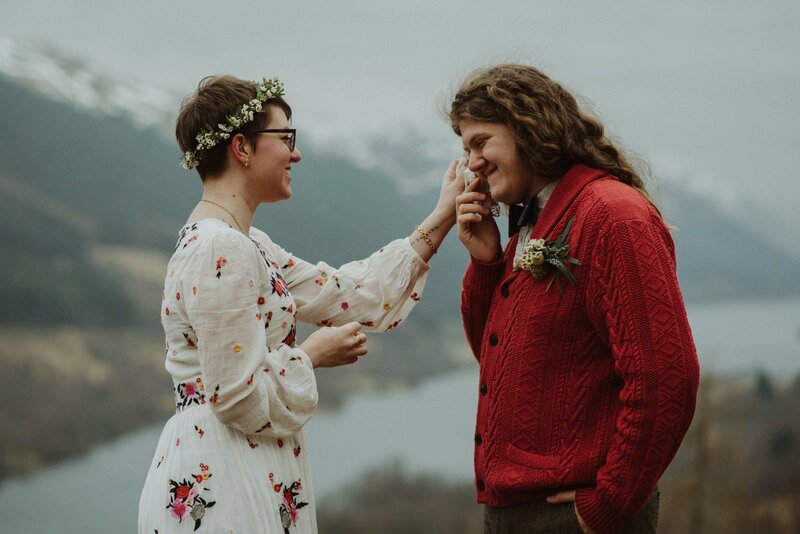 Jordan and Trevor flew from the USA to tie the knot in a place in the Scottish highlands that was unique and special to them. 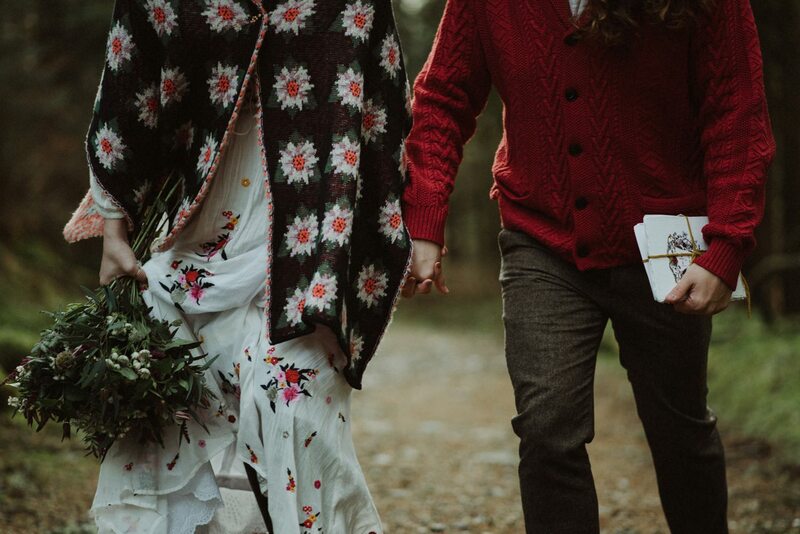 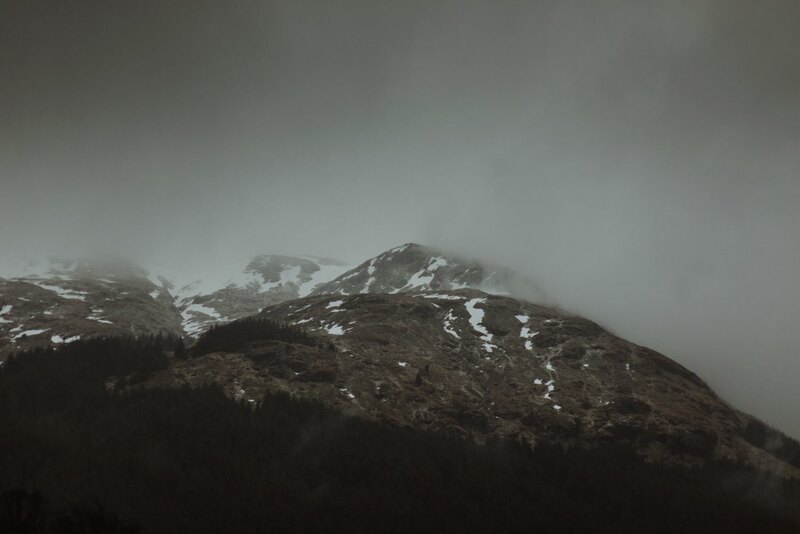 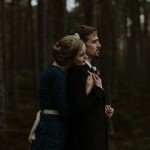 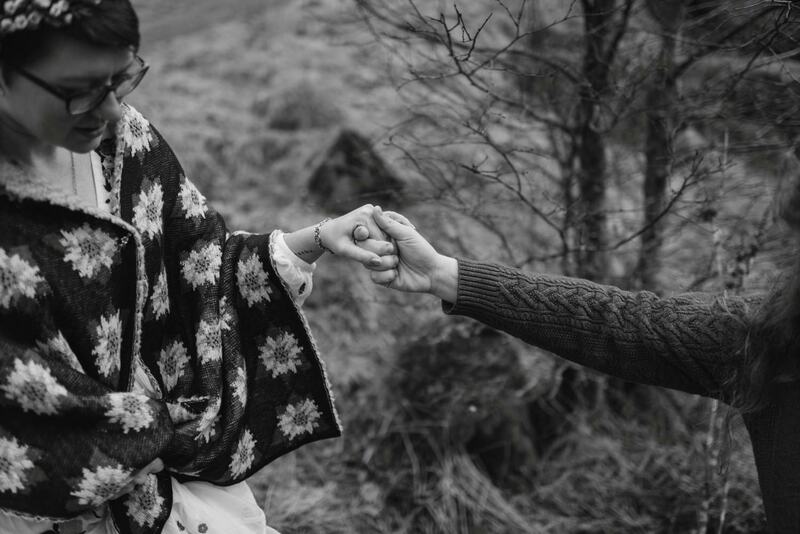 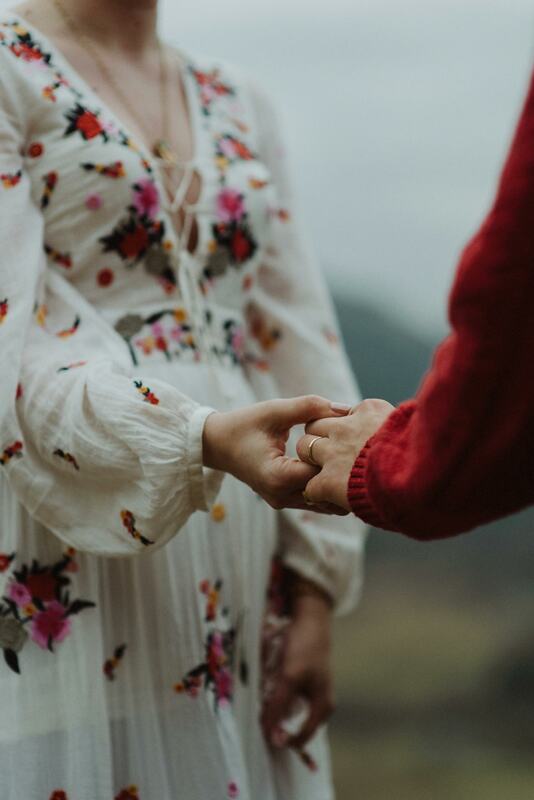 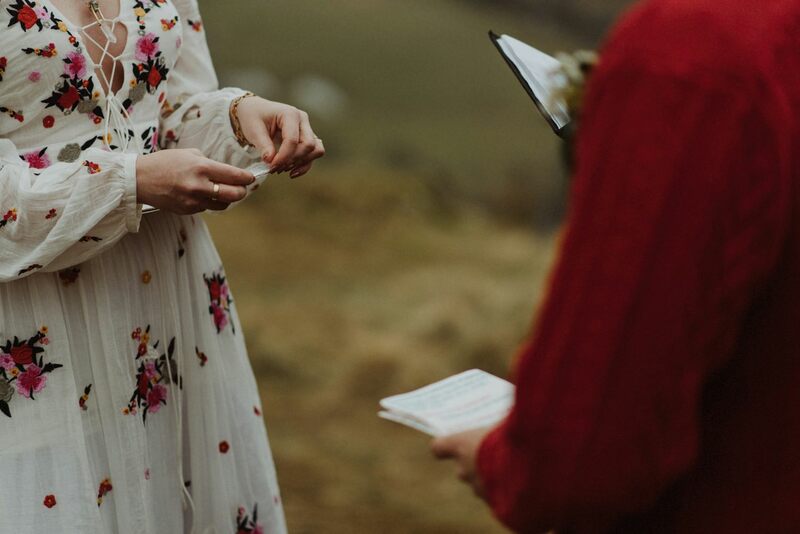 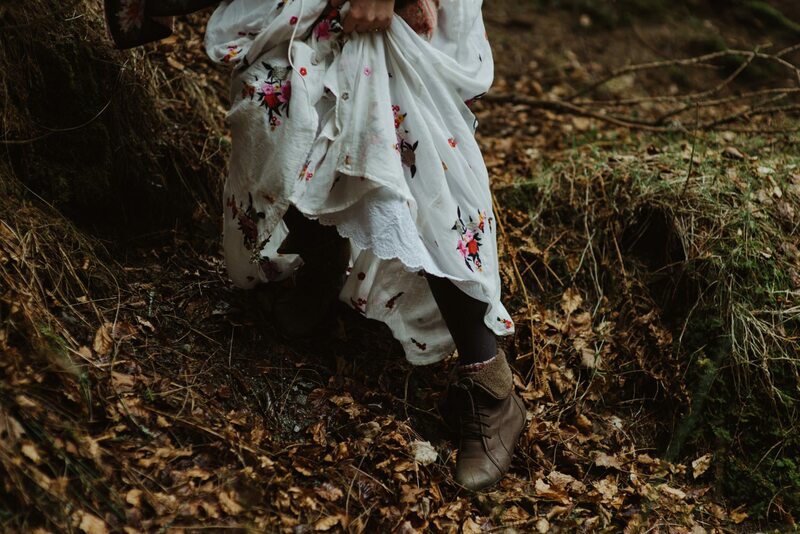 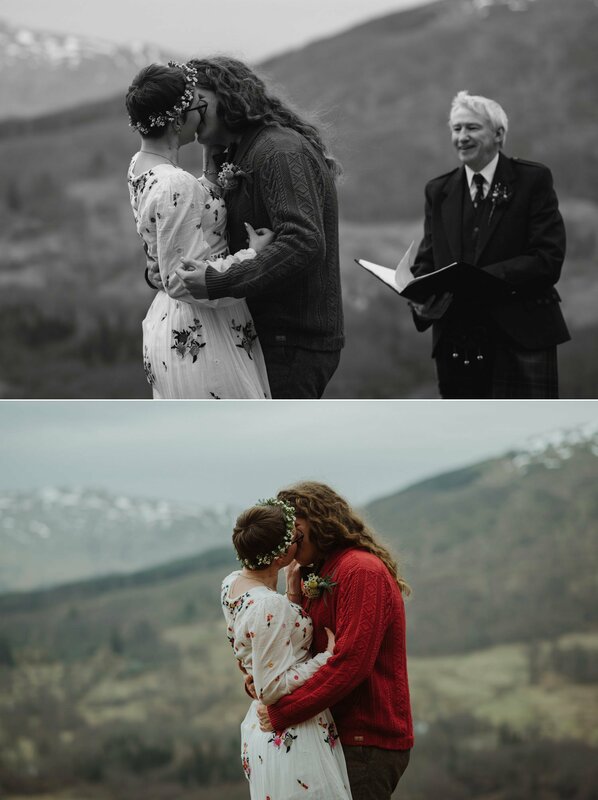 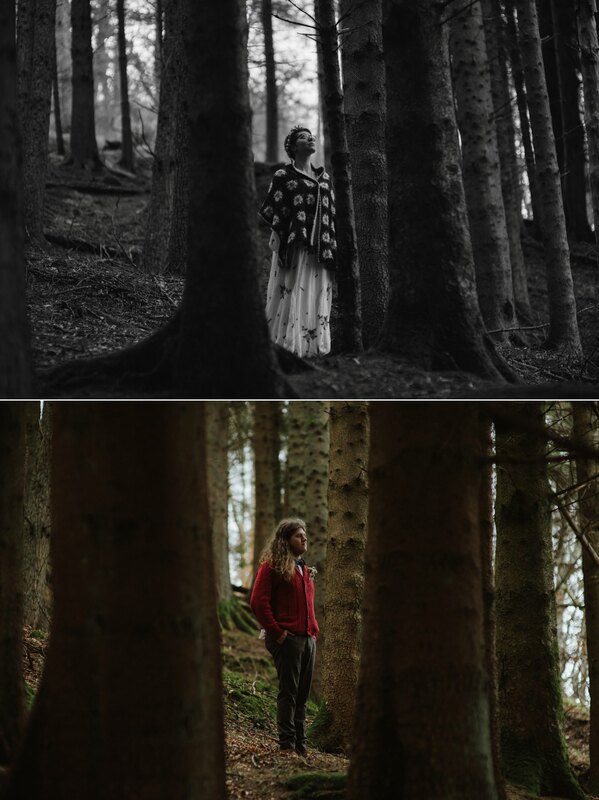 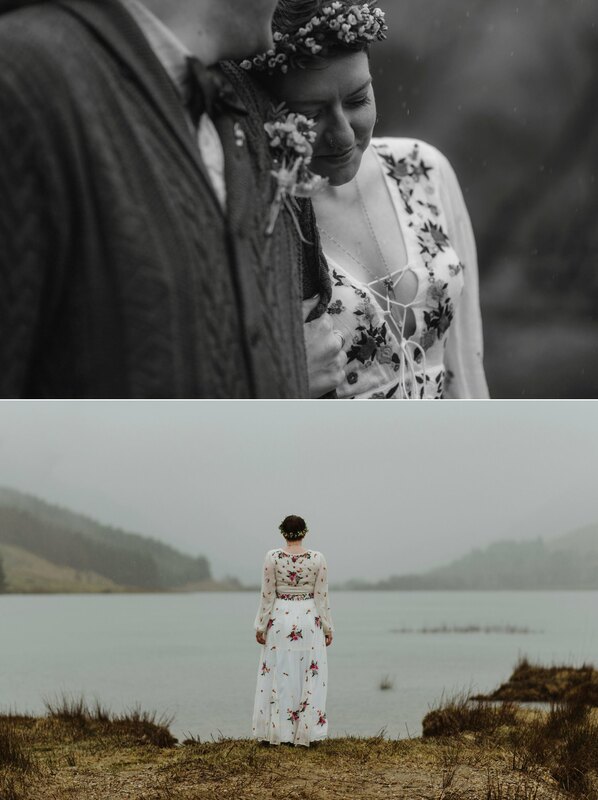 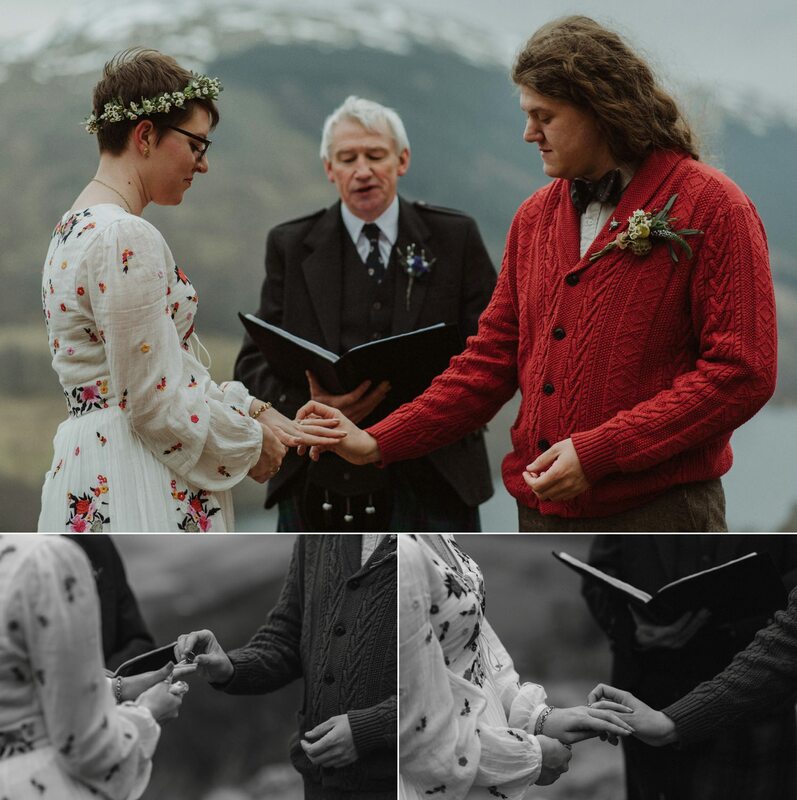 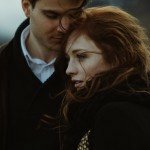 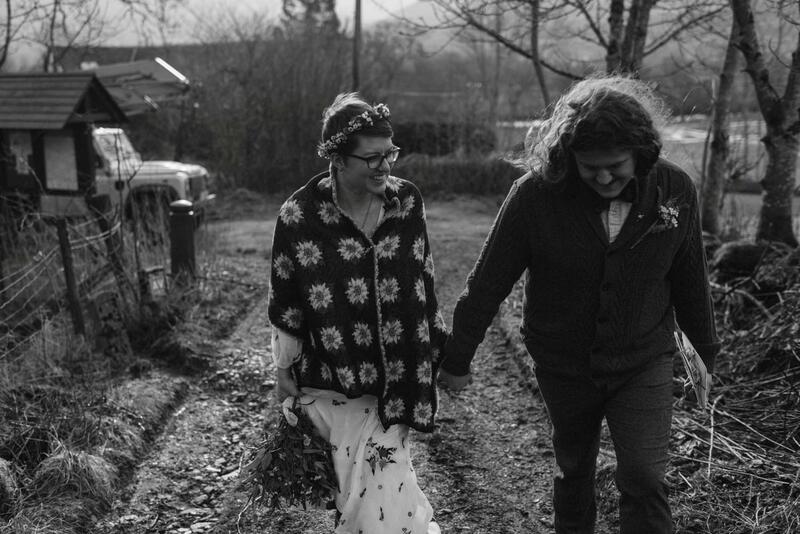 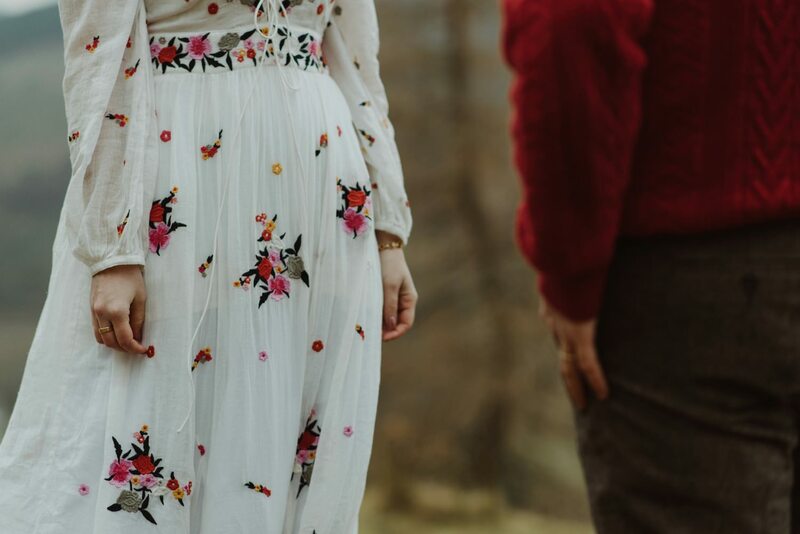 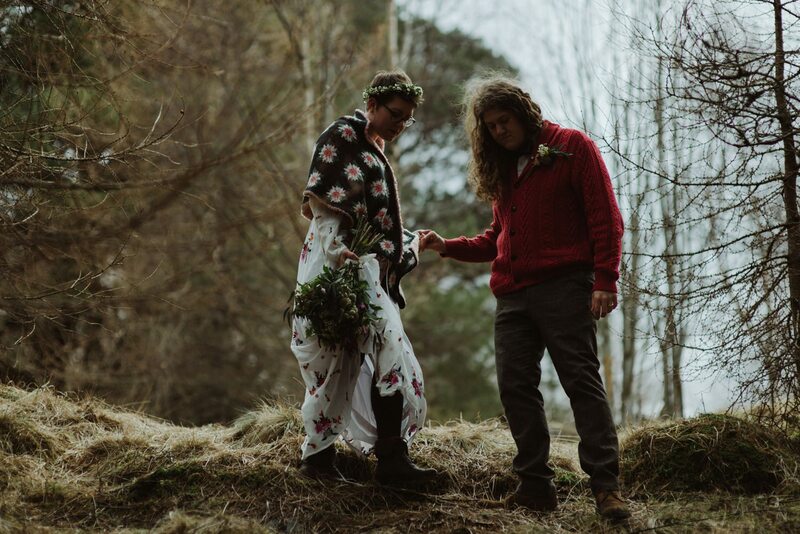 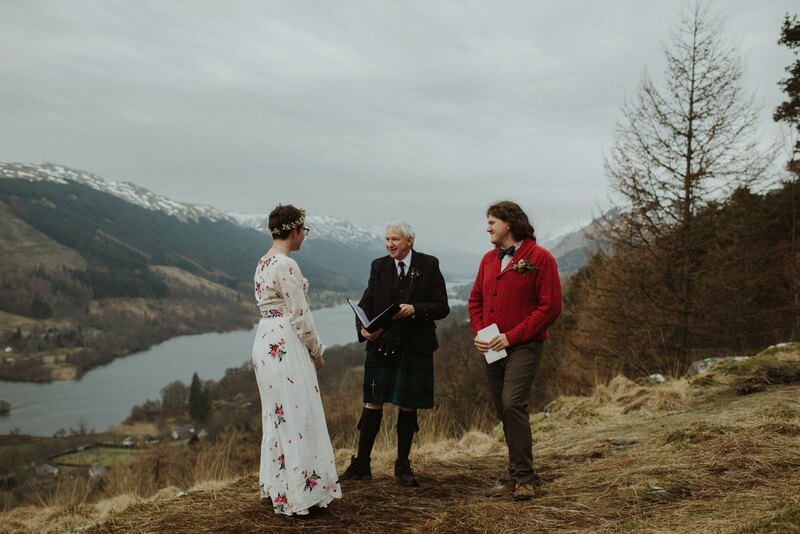 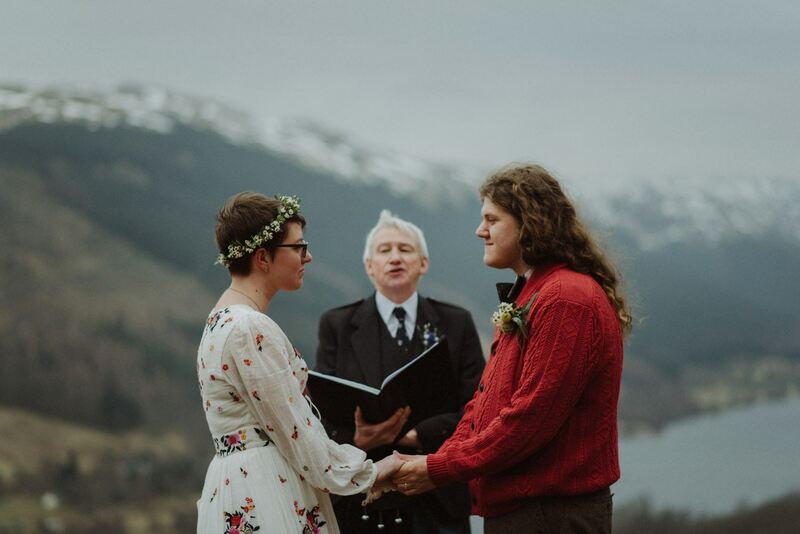 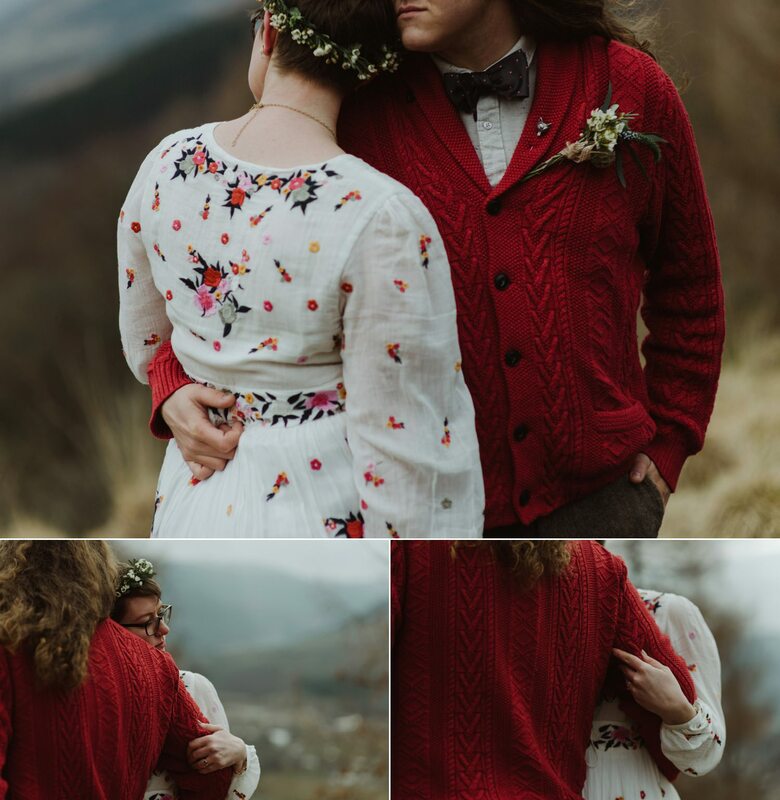 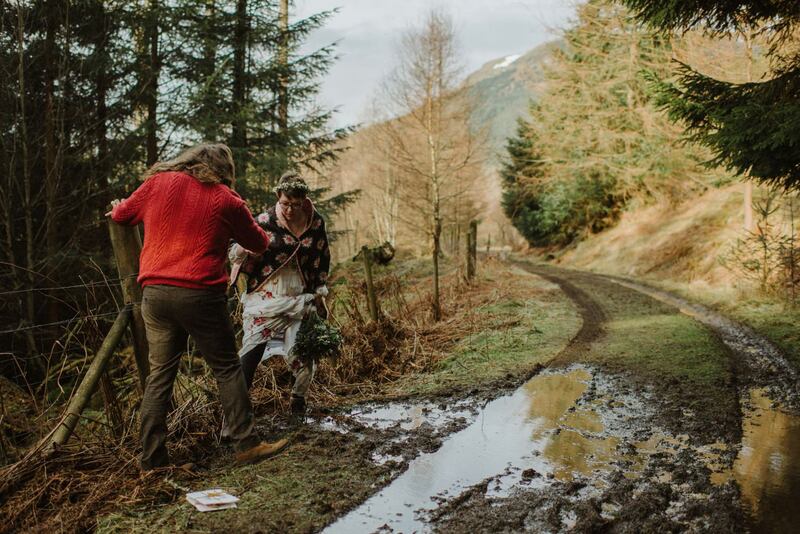 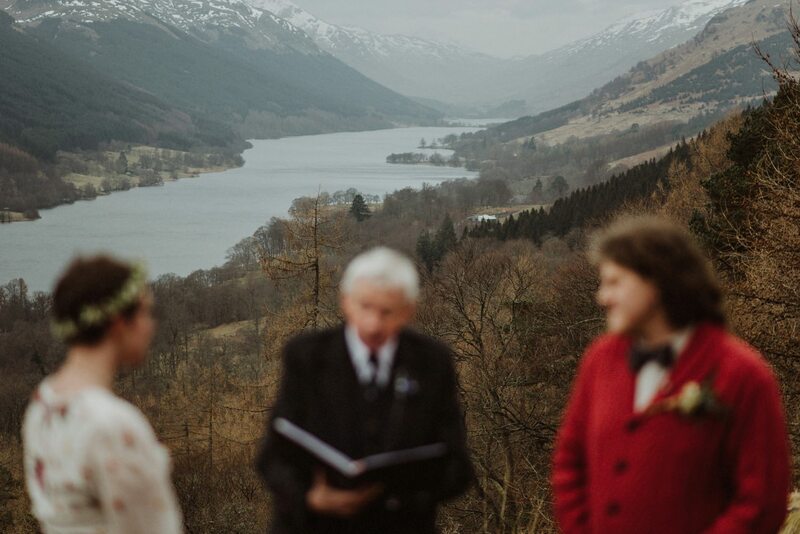 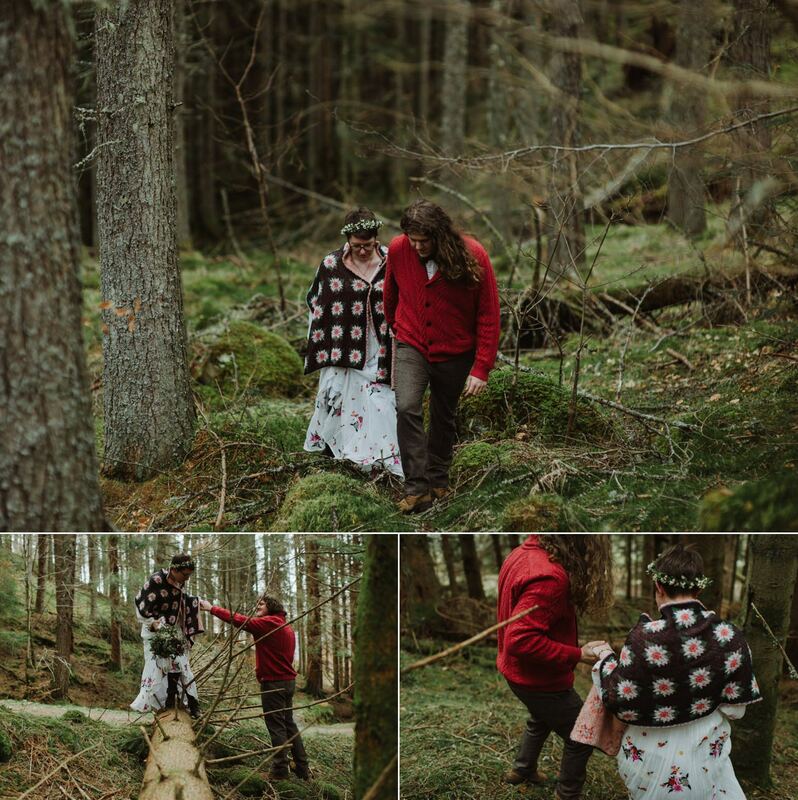 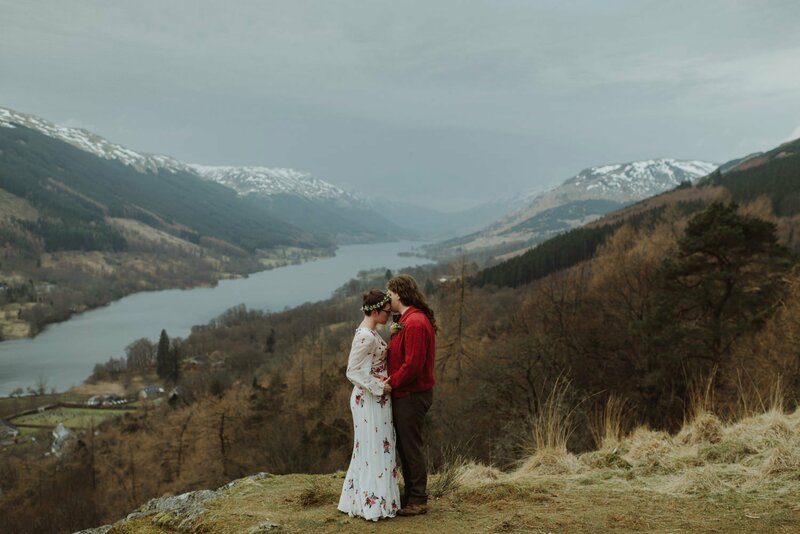 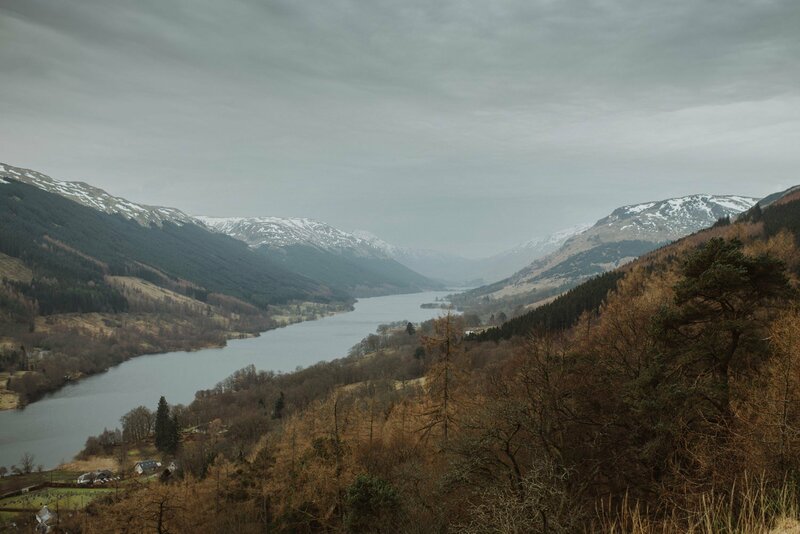 Instead of settling for well-known spots such as Skye or Glencoe, these guys wanted to find a location for their Scottish highlands wedding that would remain uniquely theirs. 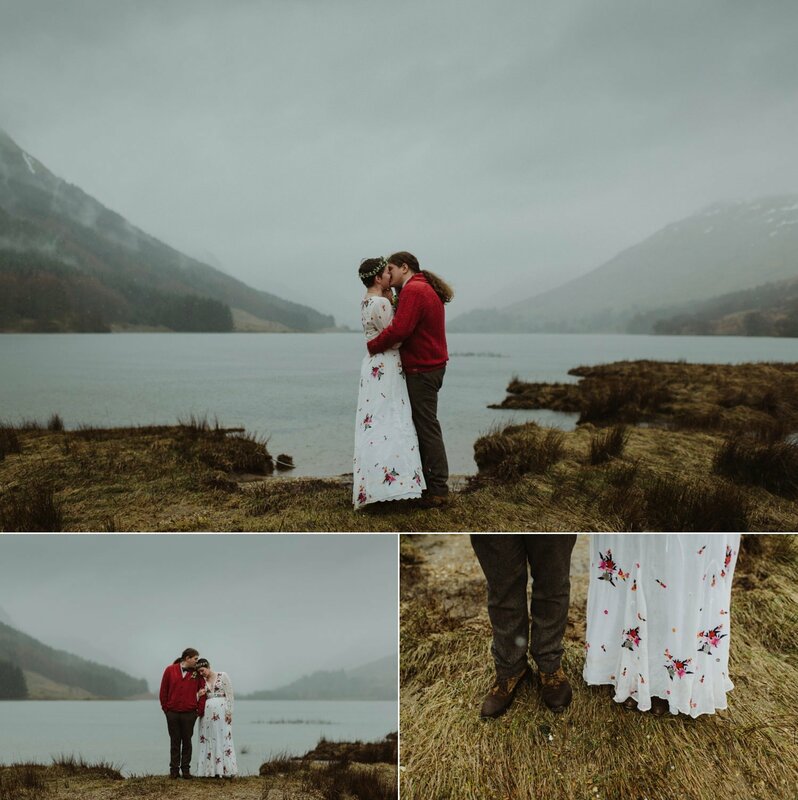 The weather was set for heavy showers to begin at 1pm so we set off from Edinburgh while the moon was still bright on a March morning that could only be described as fresh! 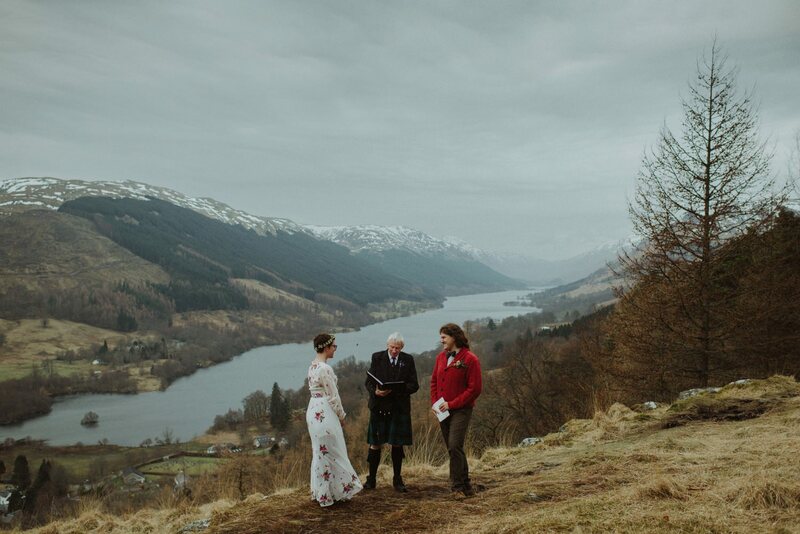 After preparations in the early morning we hiked together for about 25 minutes to a beautiful spot overlooking a loch that Jordan and Trevor had found earlier the previous day. 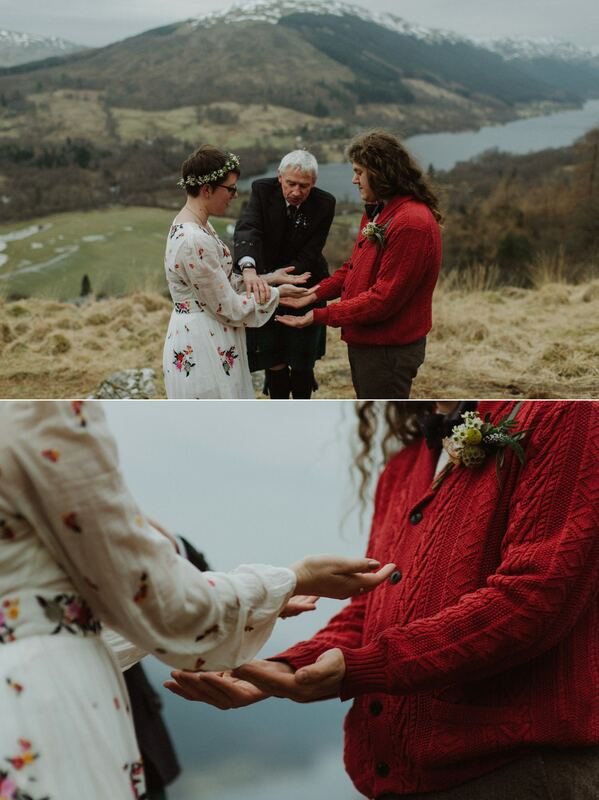 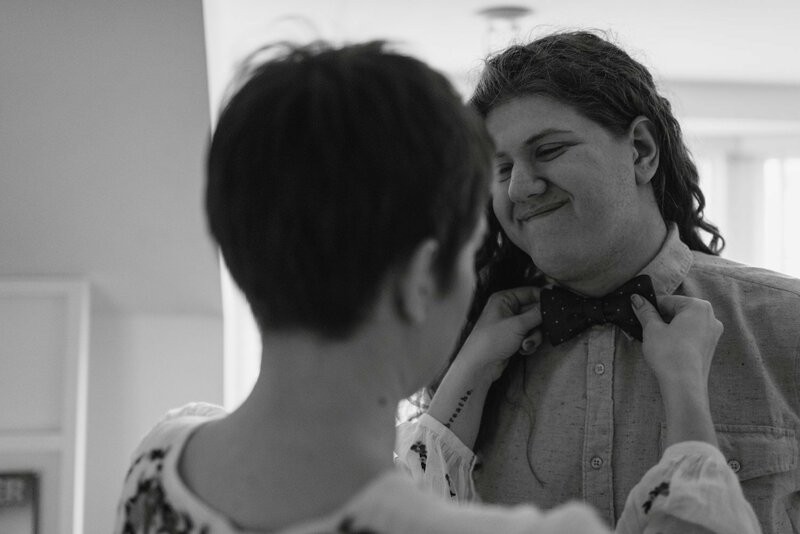 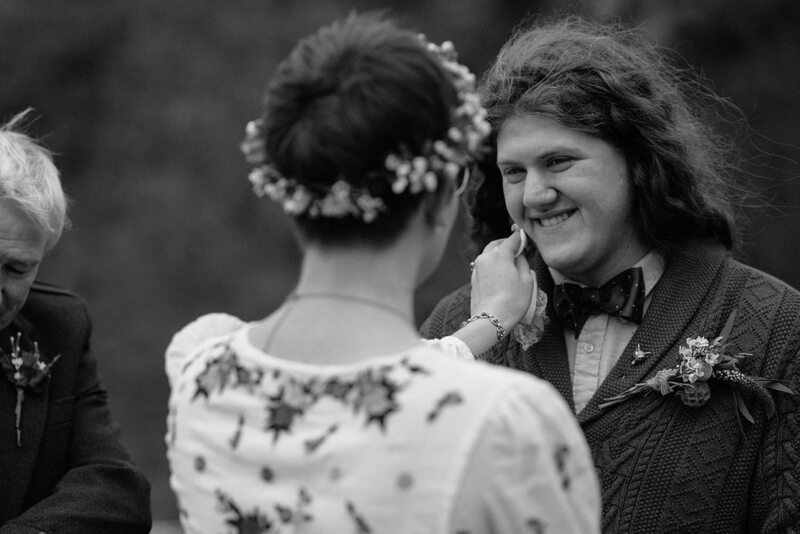 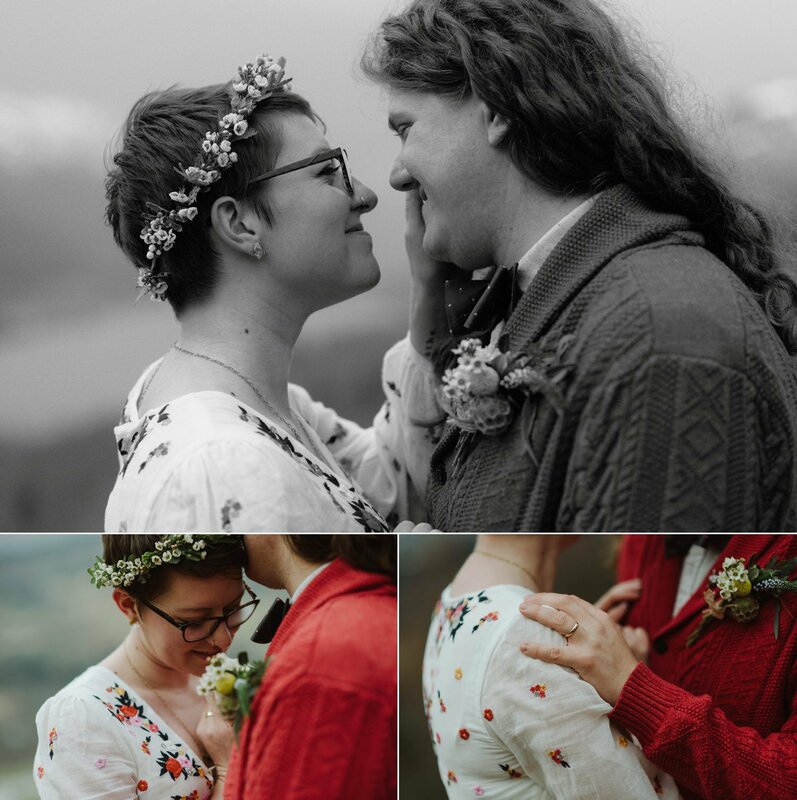 It was one of the most emotional ceremonies we’ve ever witnessed of two of the most kindest and genuine people we’ve met and we feel so lucky to have been included. 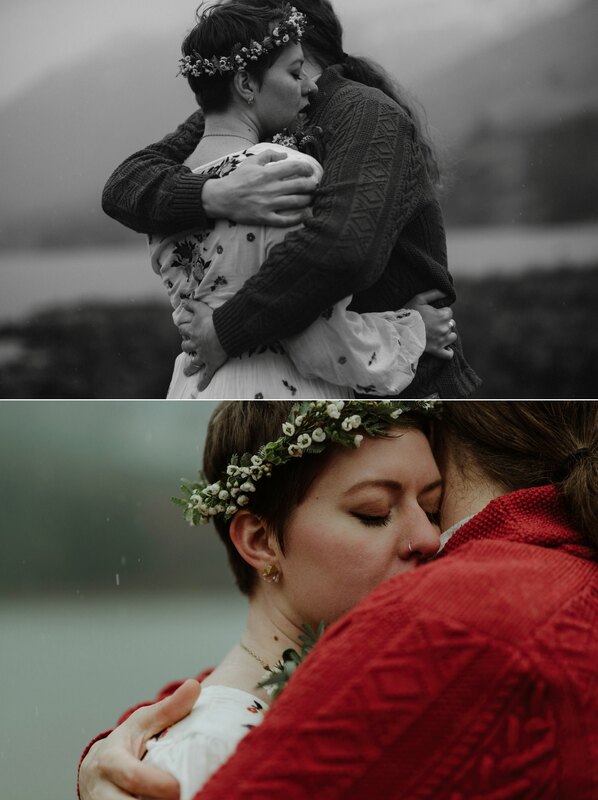 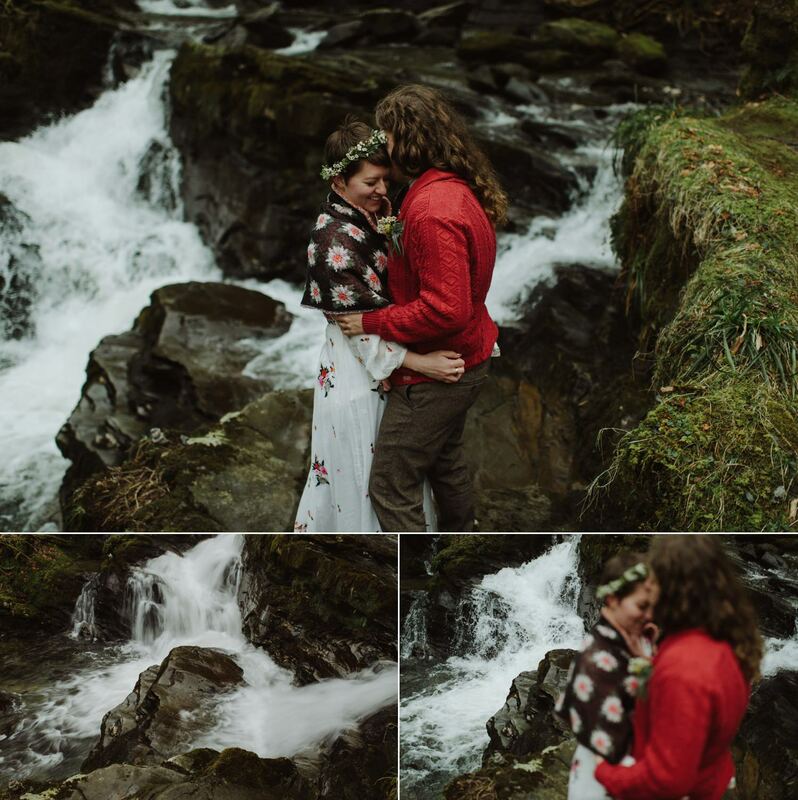 Being alone in nature and witnessing two people that are so in love and wholeheartedly connected with one another is one of the coolest things that we get to do as photographers… nothing can top it! 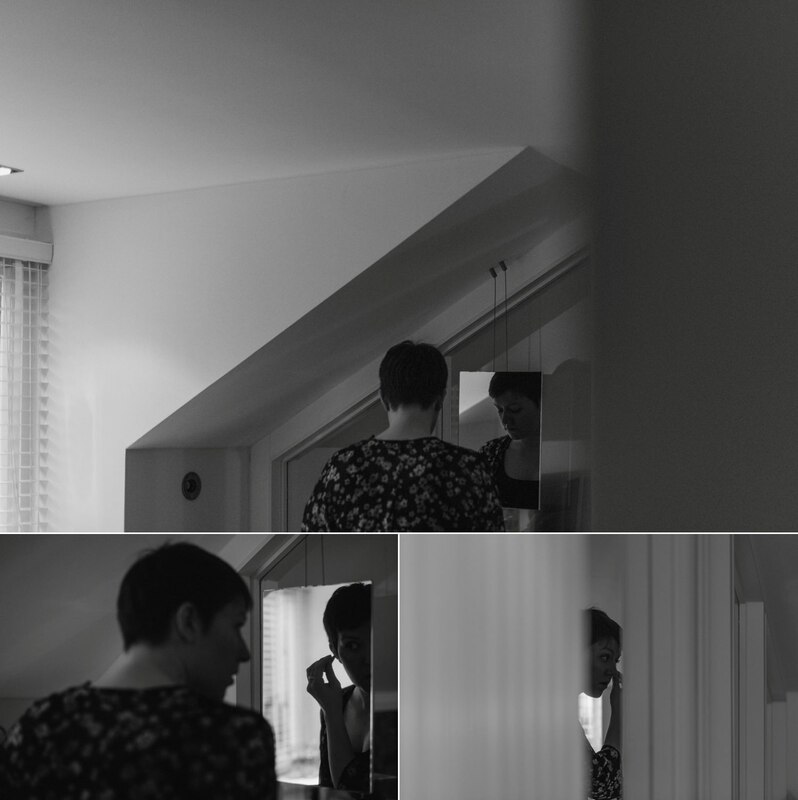 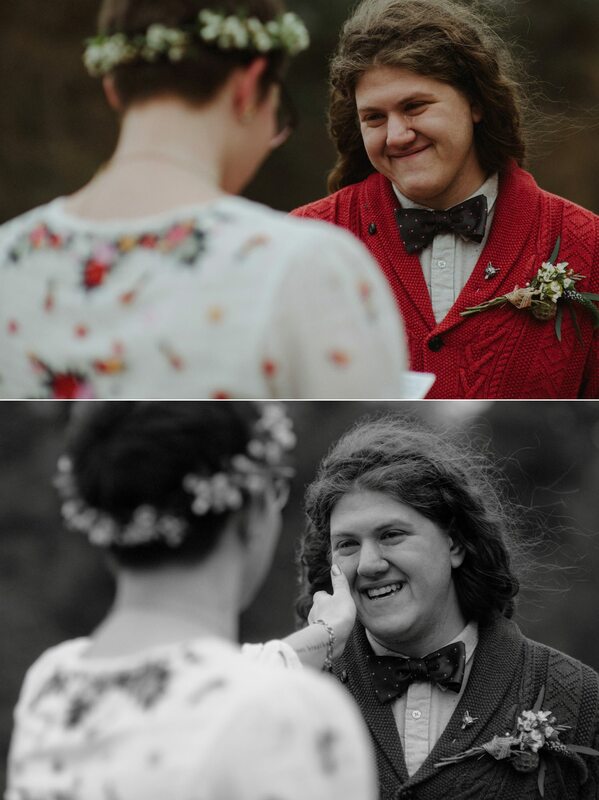 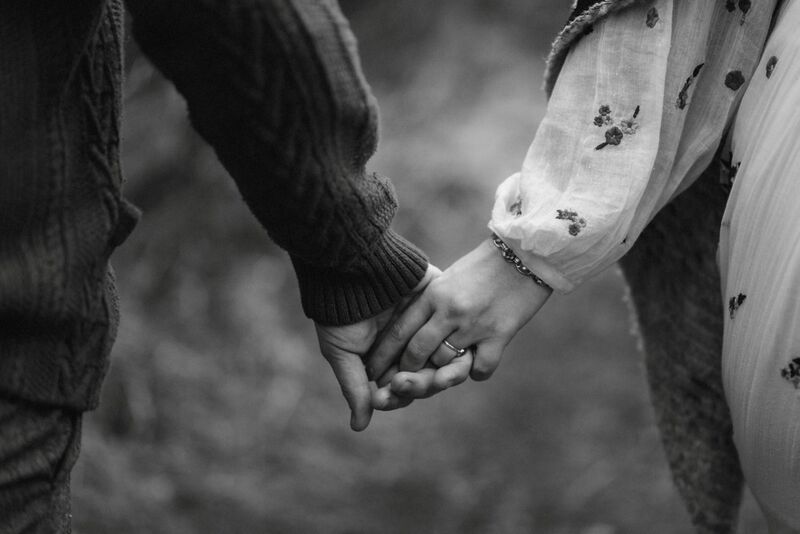 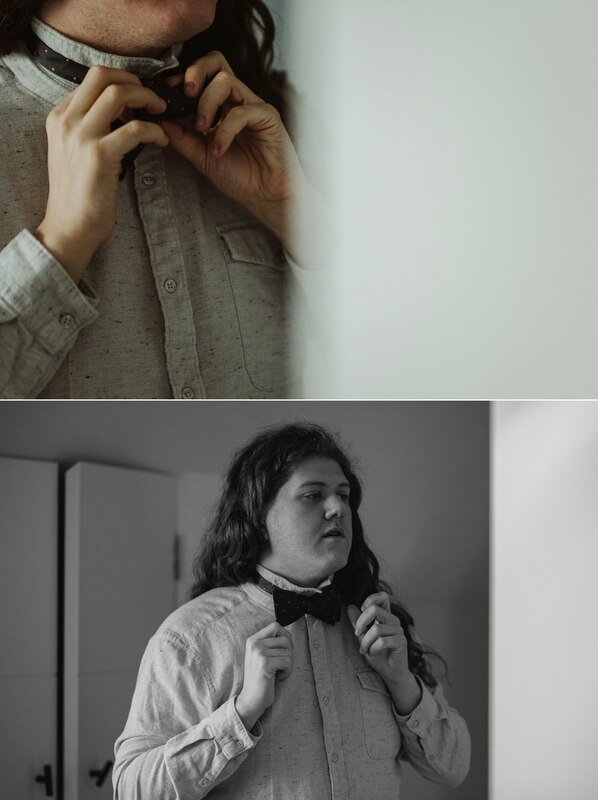 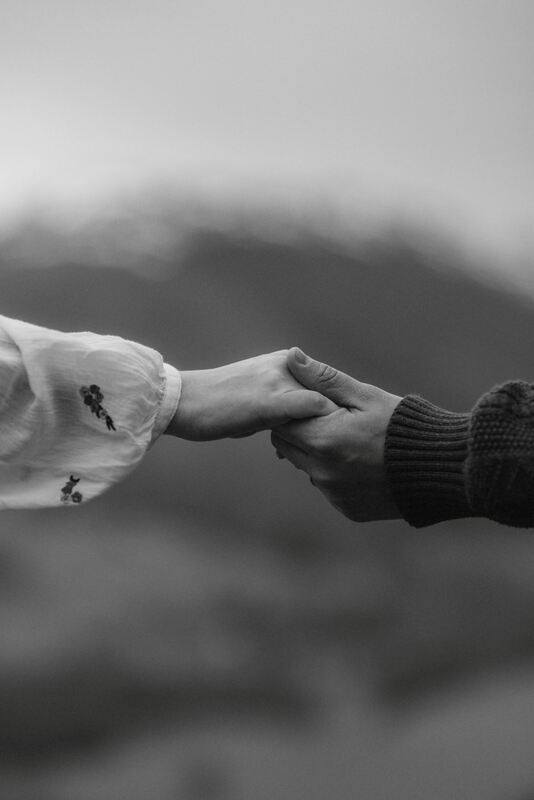 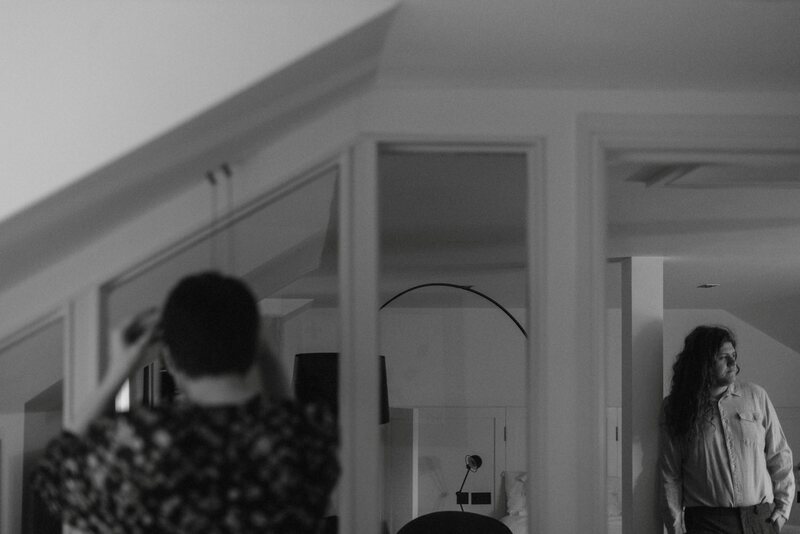 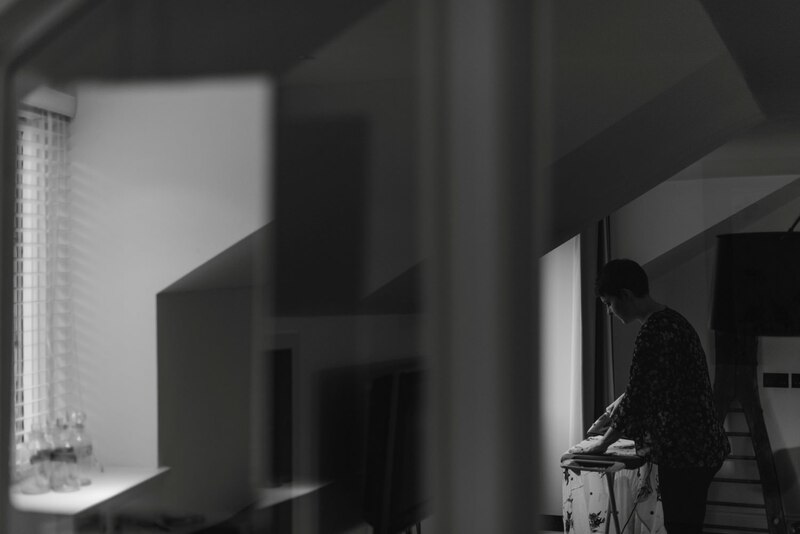 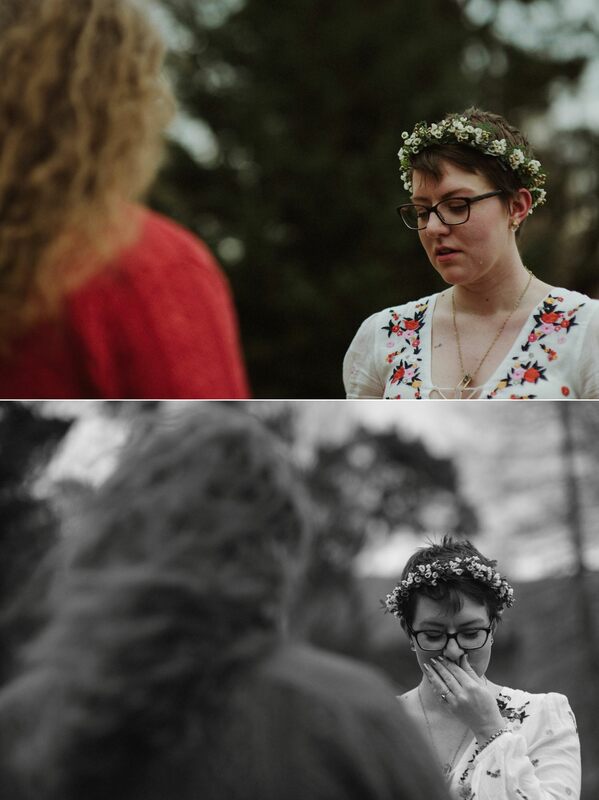 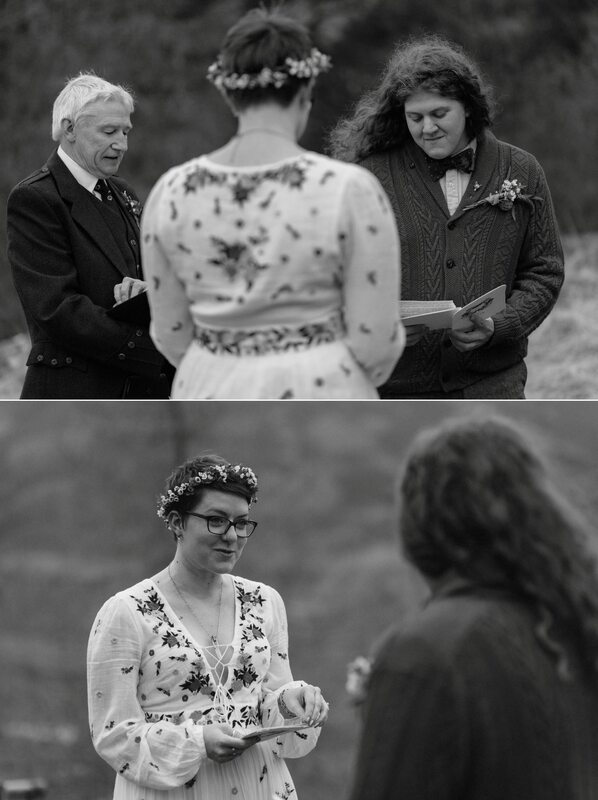 J'ai eu les larmes aux yeux en regardant les photos de ce mariage ... Ce moment semble simplement sincère, vrai . 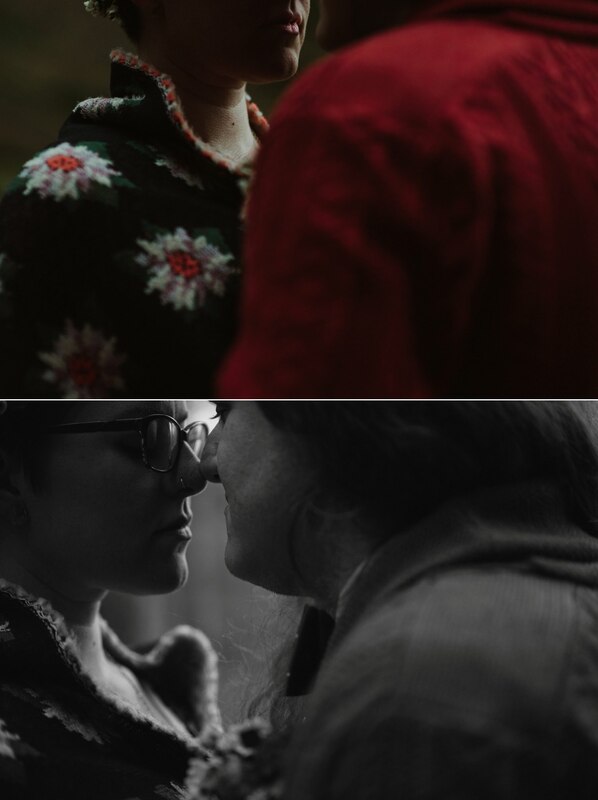 Gros coup de cœur !